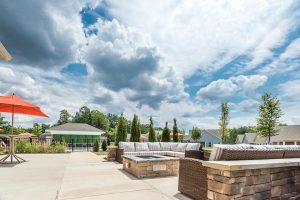 From pool parties to happy hour at the clubhouse, our Labor Day celebrations in a Cornerstone Homes community on Monday will remind you why living here is a blast. Relive the joy of summers past like never before! When you’re here, the festivities last all night long. There’s no better time to lounge by the pool! Head on down to your community’s hot spot and relax beneath the sun with your favorite drink in hand. We guarantee that your neighbors will be there listening to music and celebrating the good vibes. 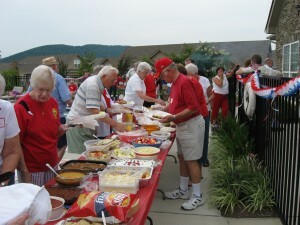 The clubhouse is always a blast, but it will be especially fun this Labor Day! On this “day off,” do your best Ferris Bueller impression and live like there’s no tomorrow. 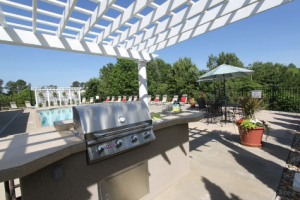 Enjoy a delicious meal with your friends, play your favorite game, and watch the fireworks sparkle. There’s no need to wait until 5 o’clock to sip your favorite cocktail. Grab your friends and cheers to the end of summer this Labor Day! 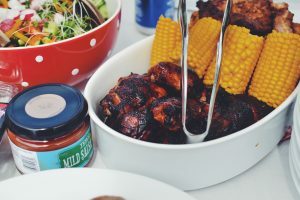 Whether you love spiked iced tea, a margarita, or a refreshing summer beer, now’s the time to sit back, relax, and savor the warmth (and taste) of summer. 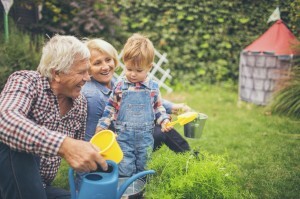 If your grandkids are visiting this Labor Day, you can share the fun and get creative! Make patriotic snack cups, a flag banner, and more with these fun and easy DIY ideas. There may not be a big festival or concert this year, but there are so many great things to do in the Richmond area on Labor Day. From lounging on the James River to exploring the children’s museum or park with your grandkids, this vibrant city is buzzing with activity at the end of summer. Fried chicken, potato salad, and corn on the cob will always be Labor Day classics. This Monday, spice up your favorite dishes with recipes like Pina Colada Fruit Salad, Loaded Potato Salad, and Blueberry Upside Down Skillet Cake. Your tastebuds will thank you! We all know not to wear white after Labor Day, so when the holiday comes around, we’re going all out! Wear your best whites and match with your friends down by the clubhouse and pool. The photos will look amazing when everyone’s in the spirit! 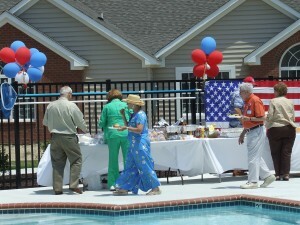 Every holiday spent in a Cornerstone Homes community is one to remember, but Labor Day is especially fun! There’s nothing better than celebrating with like-minded people who love to spread good cheer. This summer, head outside and give your best send-off! Fall is just around the corner and one last hurrah is definitely in order...The Cornerstone Homes family would like to wish you and your family a safe and relaxing Labor Day weekend!